Pretty exciting to see everyone starting to get signed up. Just there in the red the ogre mages we have legends like ArchAngel, GruntX, Genocide, StarTale, KHB, Pimster and Raz.. then in the blue the footies the guys I can sort of keep up with... and TONS of peons that have been signing up if you just started out and want to find someone to spar with. Get the app if you haven't yet! the discord has really been taking off lately thanks to the efforts of you & others to talk there, arrange games and interact with the new people! a lot more war2-related conversation is happening now, especially map making stuff lately from several new arrivals. + Tupac's efforts w/ the new tech support channel have been a big success as well. 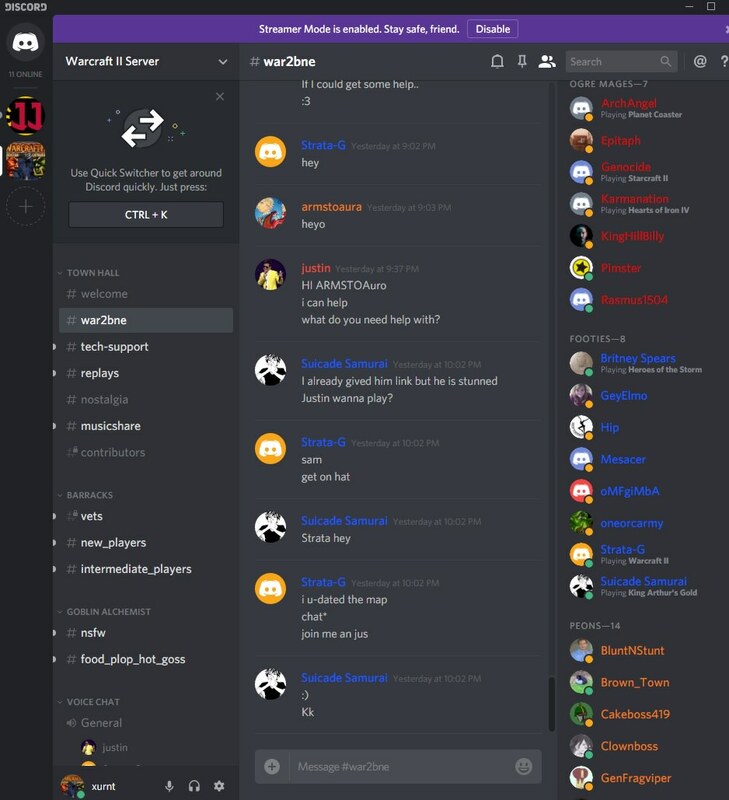 everyone who hasn't joined yet really should, discord is where it's happening ! It's pretty common to see up to 30 + peons logged on now at some point during the day. Pretty sweet as its going to just keep growing could really turn into something big I hope.